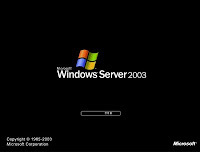 Can I configure Windows 2000/XP/2003 to log me on automatically? Old but nevertheless good. The auto logon can be accomplished by means of Registry modifying, or by use of 3rd-party tools. and enter the exact username you'd like to use. and enter the exact password you'd like to use. The password is stored in clear text, allowing anyone with access to the registry (either locally or remotely) to see your password. Use with extreme caution! and enter a value of 1.
and enter the domain name you wish to logon to. As always, before making changes to your registry you should always make sure you have a valid backup. In cases where you're supposed to delete or modify keys or values from the registry it is possible to first export that key or value(s) to a .REG file before performing the changes. 4. Close Registry Editor and reboot the computer. As far as I know, this trick will NOT work if the user does not have a password. It will only work once, but for subsequent logons it will stop working.